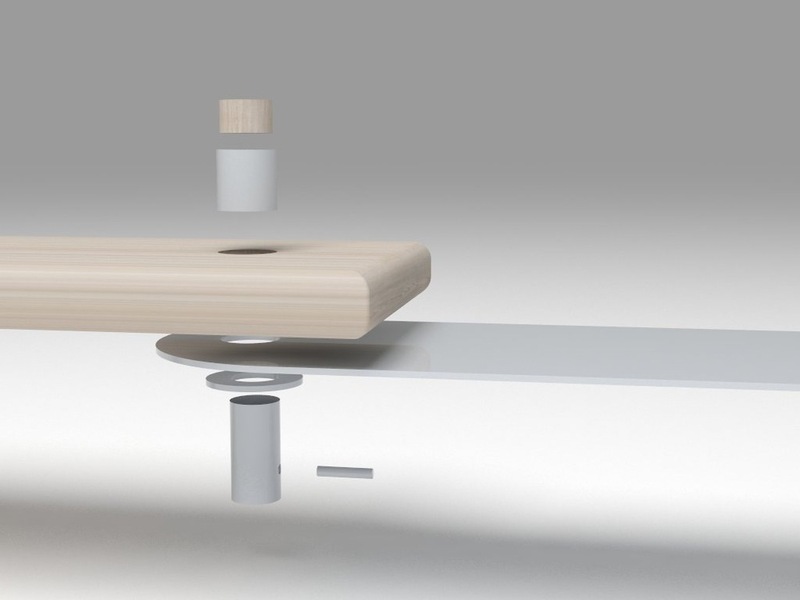 With the inspiration of Meccano and a Swiss army knife I found a movement that I could apply on a modular bench system. 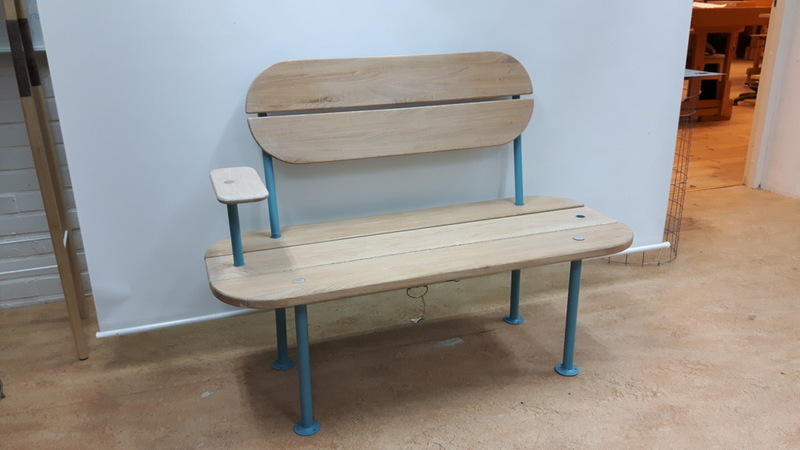 This bench is designed to fit in the concept of Gärsnäs, a Swedish traditional company that makes high-end furniture for public space. 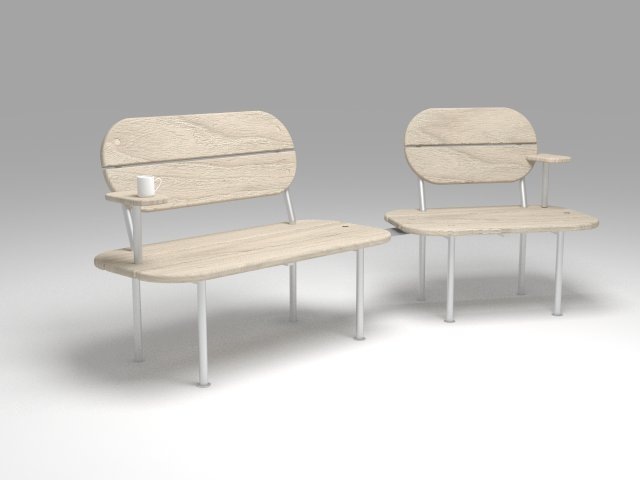 They asked for a outdoor sit system with certain features such as it should be modular, attached to the floor, ergonomic and interesting material meetings. 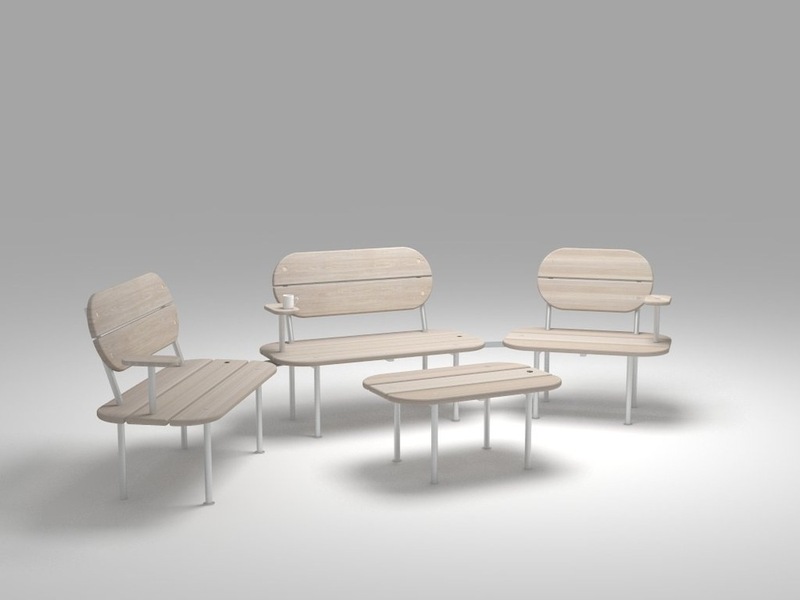 The benches are modular and movable. They connect to each other with the metalplate inbetween them. 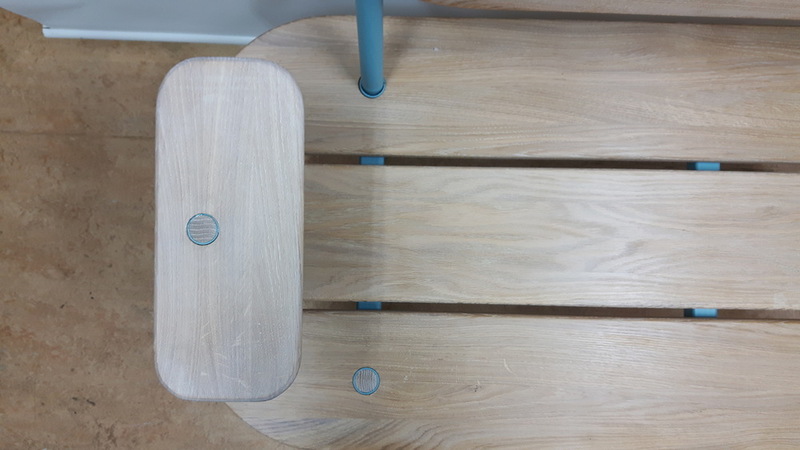 The metal legs goes right up through the wooden seat and creates an neat detail with the meeting between the metal and light oak. The material is oak with white pigment oil and a base welded together of metal pipes. 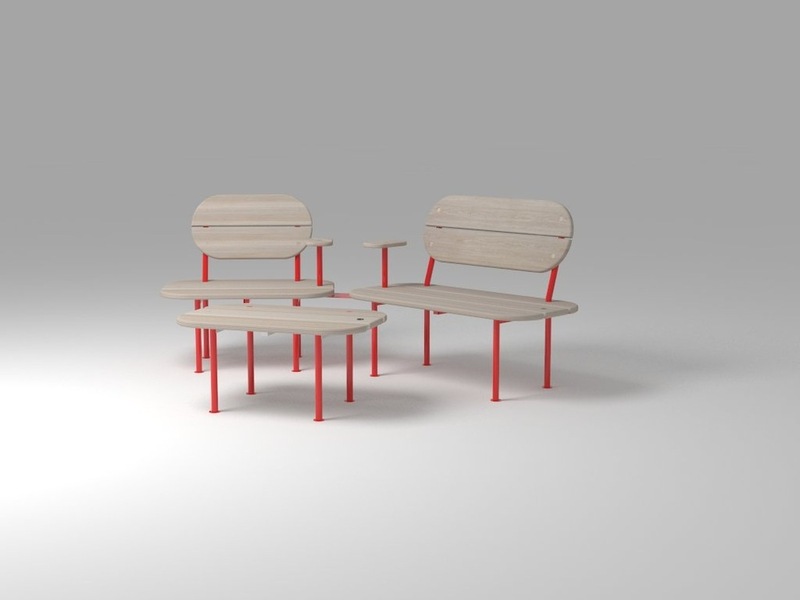 Red version of the bench. 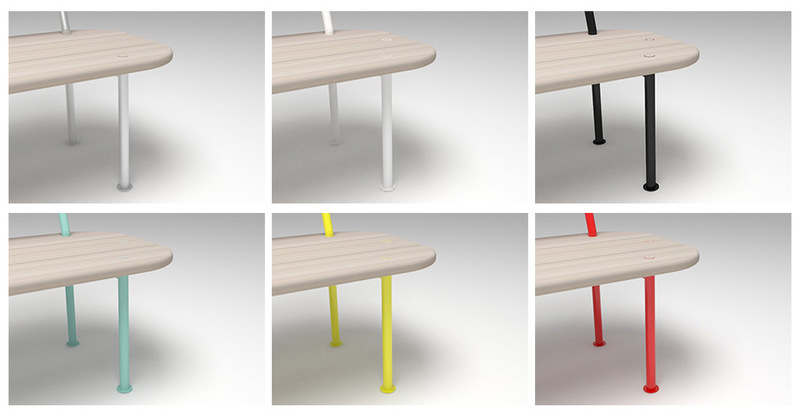 Its possible to take of the backseat to make a small table of the benche. 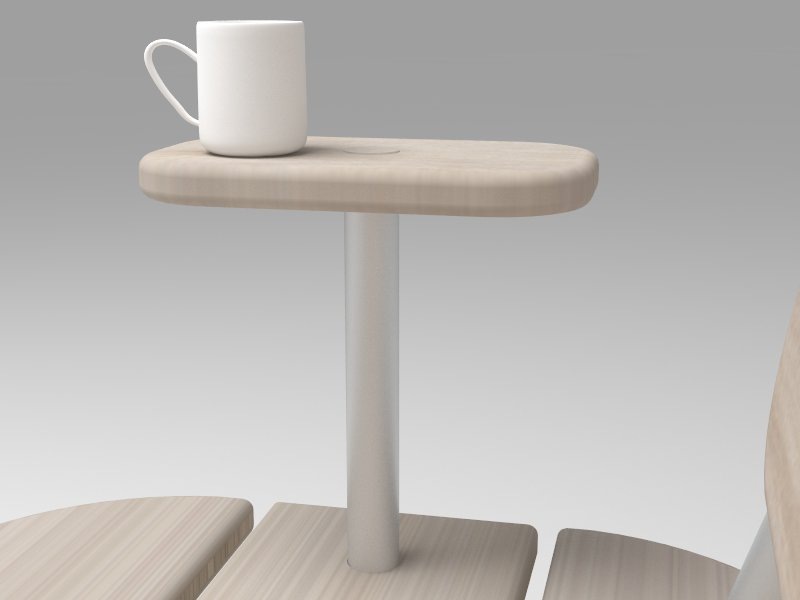 The armrest is a bit bigger than usual, this is to make a small table to place the coffee cup on.